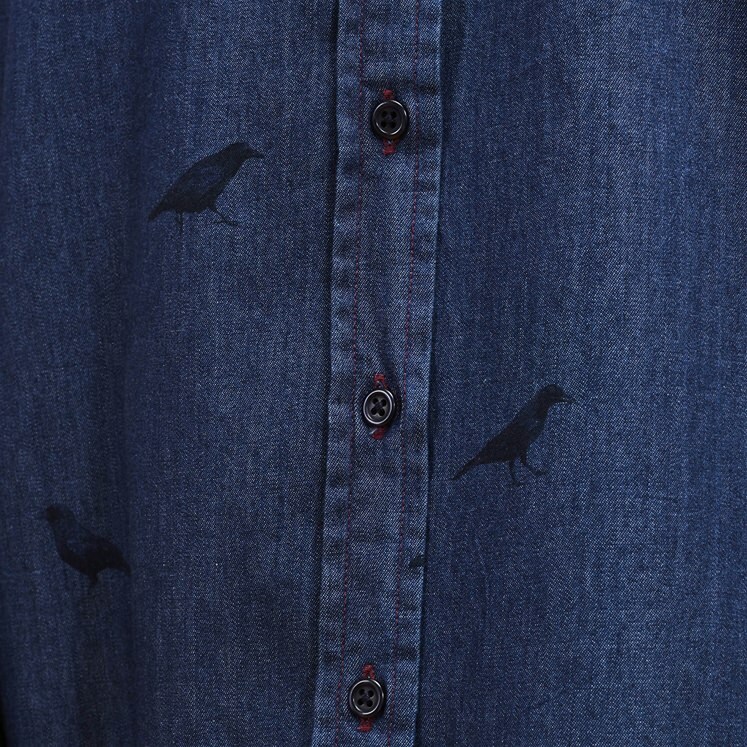 Womens classic denim shirt dress with a soft black placement print of a solo crow. 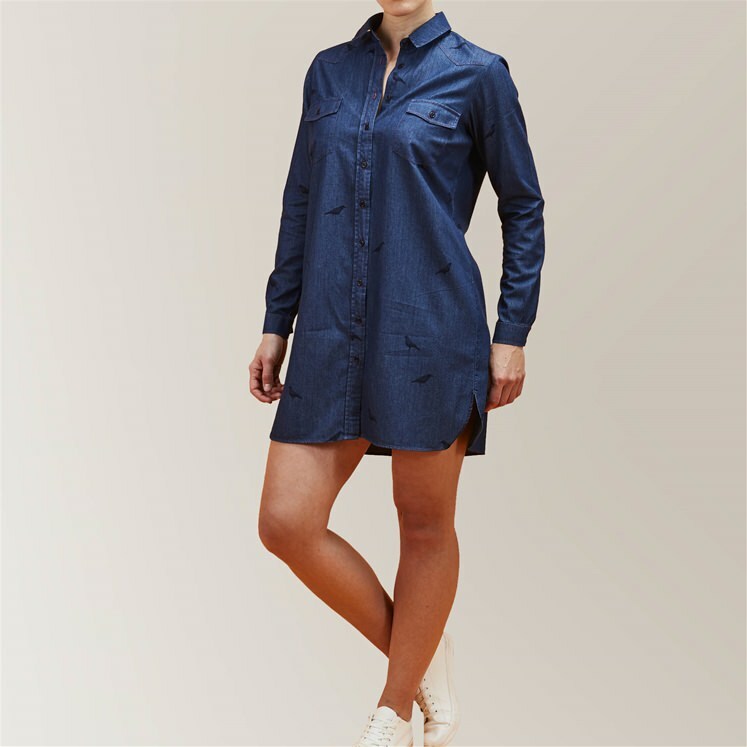 Shirt dress has a relaxed fit, single cuffs and button fastening and 2 patch pockets on the chest with contrasting stitching. 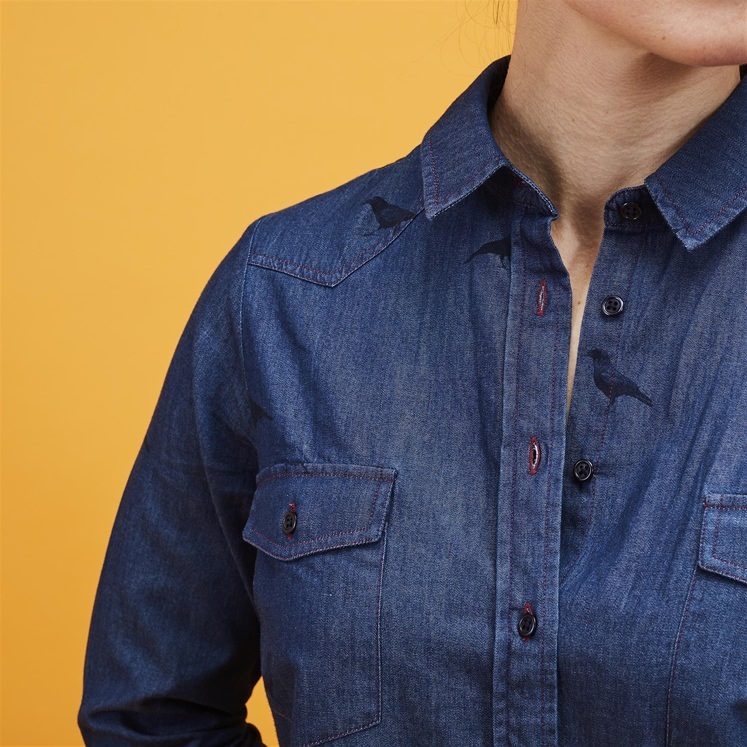 A limited edition Gresham Blake design.